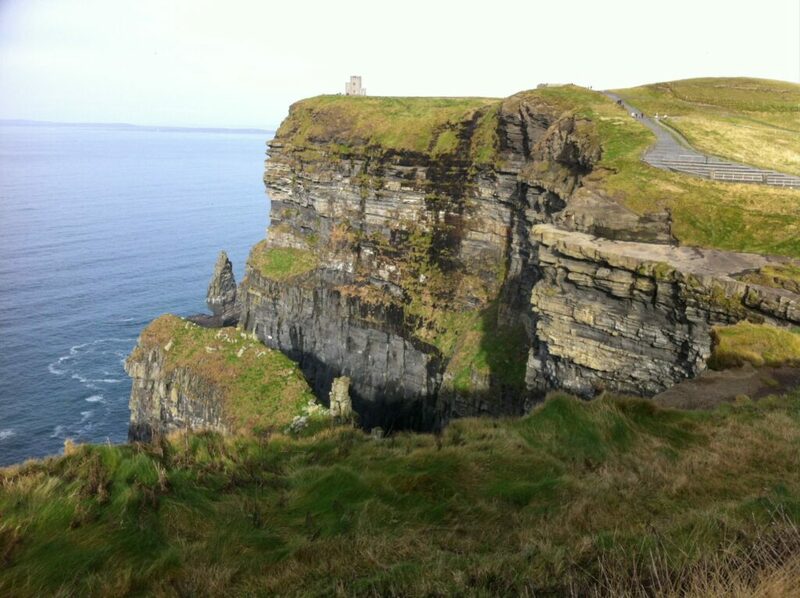 then to Killarney and the Cliffs of Moher. We toured the Ring of Kerry (in a horrific rainstorm!) and the Dingle peninsula. Then on around to Cork and Blarney Castle to kiss the stone. On the way to Kilkenny we stopped at Cahir Castle and the Waterford factory (where I bought some lovely glasses). On our way to Dublin, we stopped at the Avoca Handweavers compound and the ancient monastic site of Glendalough. 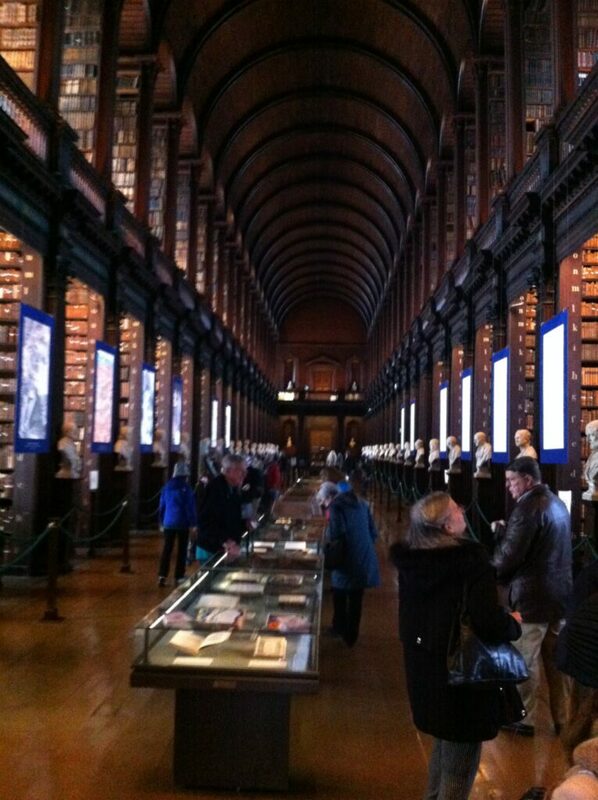 In Dublin we toured Trinity College with it’s amazing Long Library with the Book of Kells. Along the way, I would ask people for recipes of authentic Irish foods. And of course, everyone’s recipe is authentic, until you share it with someone else, who insists that it isn’t! But even so, I think I managed to get at least several that are as genuine as can be, along with tips on how to prepare them, and even some of the history behind them. It was a magnificent experience, and one I would repeat. Later down the road in Killarney, we were treated to some delicious Irish Stew, so of course I had to get that recipe. I had to gather several versions and piece them together to re-create what I remembered from the dish I had there, and this one comes closest. 3 pounds Lamb Shoulder cut in 2-inch chunks. Can substitute mutton, beef, veal, venison - even goat meat! 3 pounds Russet Potatoes peeled and halved. For thicker broth, slice 1/2 potato in thin slices. (Can substitute Yukon gold potatoes, but the broth will be thinner). Pat meat chunks with a paper towel to dry, and season well with salt and pepper. 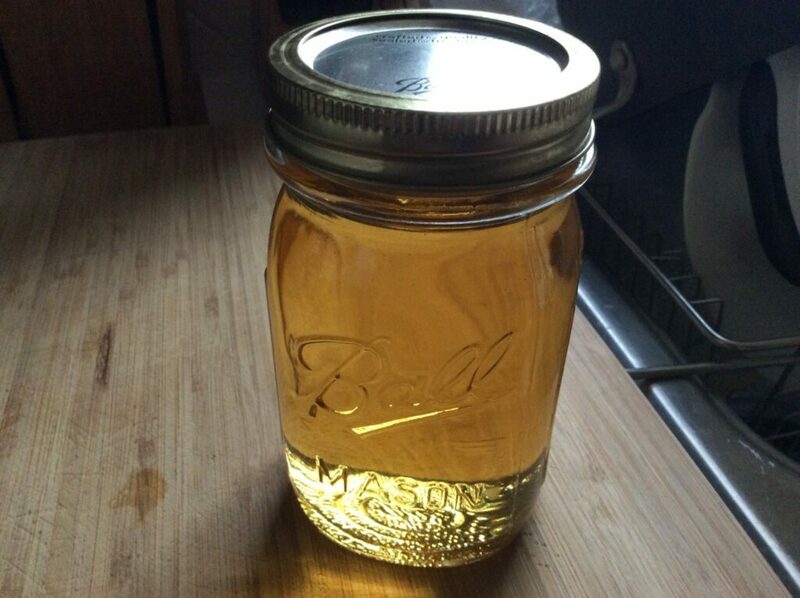 Heat oil in a large, oven-safe soup pot with lid over medium-high heat until shimmering. If desired, dredge the meat in flour. Brown meat on all sides. Remove meat and and add onions and carrots to pot. Season with salt and pepper. 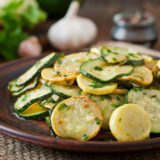 Cook vegetables, stirring, until lightly browned, about 8 minutes. Depending on the size of your pot, remove all but the lowest rack in the oven, and pre-heat oven to 350 degrees. Return meat to pot, add broth and bring to a simmer. Add thyme and arrange potatoes on top of the meat. Add a final dash of salt and pepper, cover the pot and put into the oven. And finally, at our farewell dinner, we were served this Irish Cream Coffee Cake. It’s not coffee cake in the American sense – a yellow cake with a sugar crumble on top. No – this is cake made with coffee, and some Bailey’s thrown in because – well, because it’s Irish. It was so unusual I had to get the recipe. Everyone is familiar with Coffee Cake, right? It’s that yellow cake with brown sugar and you eat it with coffee. Well, that’s not what this is. 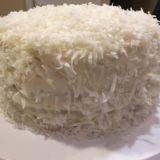 This is cake . . . with coffee. 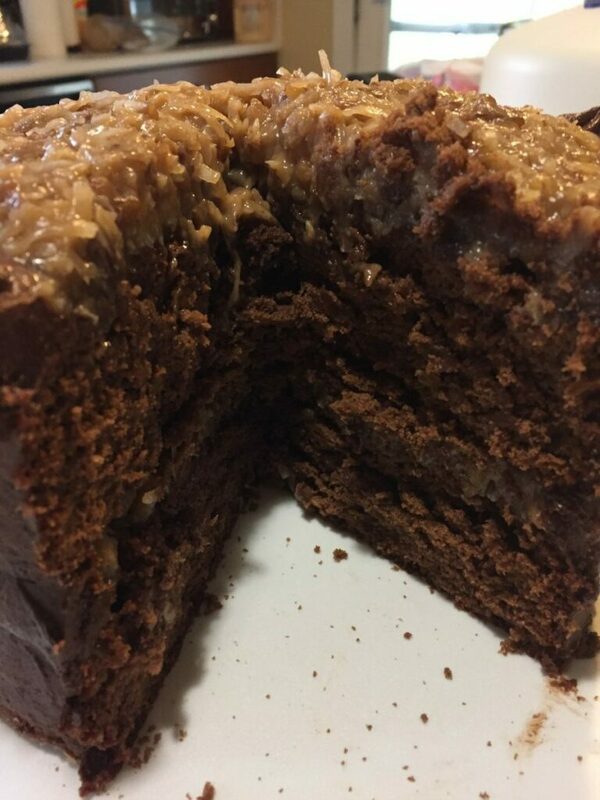 Coffee in the cake. And throw in a little Bailey’s while you’re at it. Yeah. There you go. Grease and flour a bundt pan. Be sure to dust all the corners. Preheat the oven to 350 F.
Beat together the butter and sugar in a large bowl until light and pale. 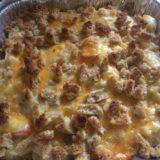 Add the milk and sour cream and combine. Mix the baking powder and flour with a whisk and slowly add to the batter. Scrape down the sides and beat until smooth - about two more minutes. Pour about 3/4 of the batter into the prepared bundt pan. Mix the coffee extract or granule/water mixture and the Irish Cream to the remaining batter. Drop this batter onto the top of the batter in the bundt pan and cut through it several times with a butter knife. Bake at 350 for about 55 minutes (mine was right on at 55 min.) or until a pick comes out clean. Cool in the pan on a wire rack for about 10 minutes, invert and let the cake cool completely. 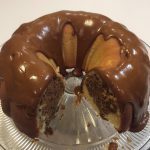 To make the icing, simply mix together the powdered sugar, Irish Cream and coffee extract or granules and slowly add water or milk until you get a fairly thin consistency. 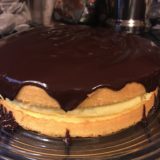 The icing on my cake in the picture is just a little too thick - I should have added a few drops more water. Drizzle the cake with icing. Caster sugar (in the U.S. we call it "baker's sugar") is simply a finer granulated sugar. 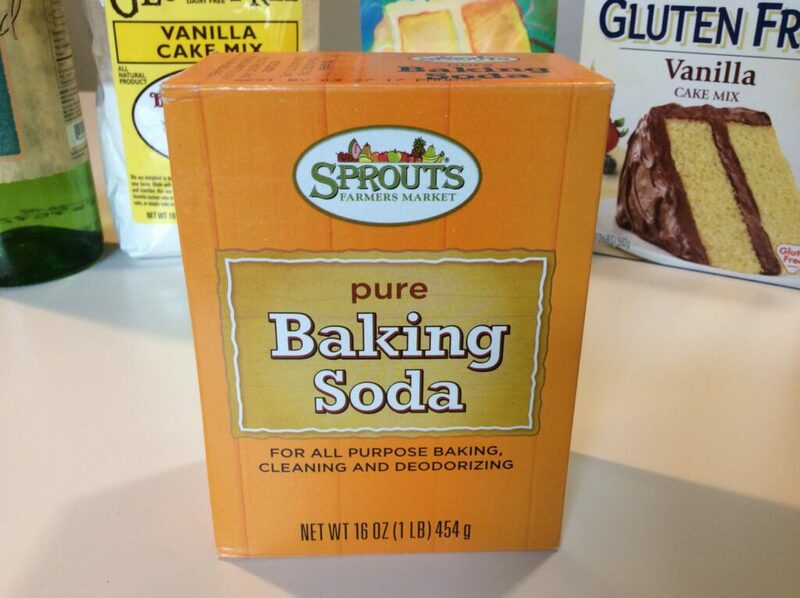 You can find it in most stores in the baking section. But you can also make it yourself - see the instructions here. Coffee extract: This too, you can find in a store, but it's pretty pricey. I just used the coffee granules and water. I picked up a box of Via French Roast packets from Starbucks - one tablespoon is about 3 packets. The original recipe called for 2 full tablespoons of coffee extract in the icing, which for me would have been just waaaaaay too much. But you may like it. Just taste your icing as you're working on it and add more if you want. Of course, it’s not St. Patrick’s Day without at least a passing nod to Corned Beef and Cabbage. And rather than crock-pot mush, find my recipe for baked Corned Beef here. 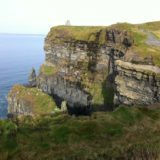 I think you’ll enjoy this Tour of Ireland for St. Patrick’s Day! Leave me a note if you decide to give it a try. I was in Galway many times and once in Dublin. I have many Irish friends and I have to tell that I like their foods. I am vegan, so these recipes are not for me, but I have to agree with you that the country is beautiful and their recipes are delicious. There are more and more vegans and vegan options in Ireland. I checked the Grand Circle’s website and they have very good tours. I’ve been visiting mostly all European countries and I have to tell that these are very good for first visits. This looks like a very good company. 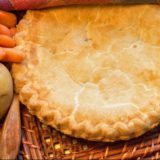 This a very educative post and very interesting to read of your adventure in getting the right recipe for all these.I like the Irish Cream Coffee Cake and the Irish Stew. 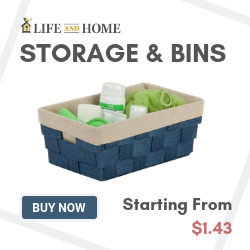 The recipe stated gives a clear stet by step procedures on how to prepare them. This post will be very helpful to those who like trying out different types of foods. The authentic Irish Stew recipe has really cut my attention. I enjoy eating meat and I’ll relish enjoying this Irish delicacy. The Irish cream coffee cake is also worthy of a mention, looks very yummy even from my screen. You forgot to add recipe for colcannon, I actually love this meal and wish you’d put up your own recipe. Good idea on the colcannon. I didn’t pick up a recipe there, but I did get the chance to try it and it was very good. I’ll hunt around to see if I can find one. I just shared your site link with my elder sister who is a baker. 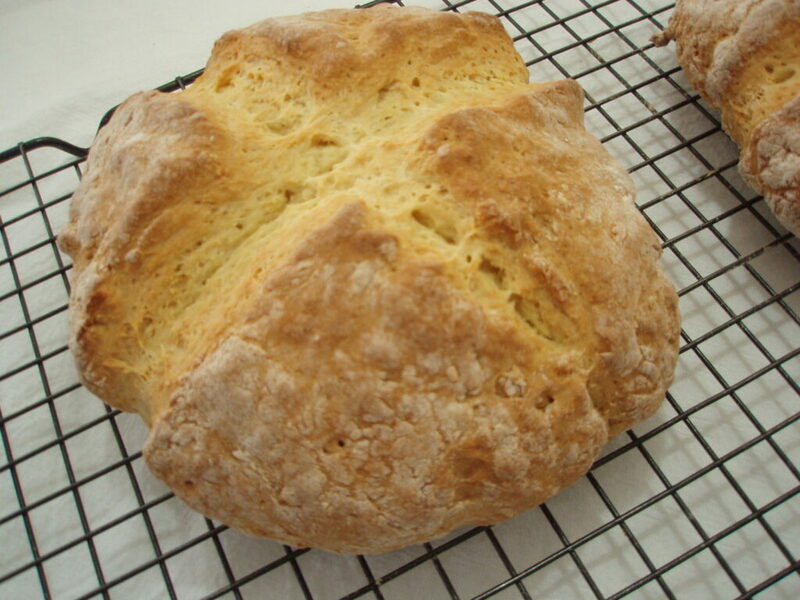 She bakes really tasty bread, although she isn’t familiar with the Authentic Irish Soda Bread. She was really wowed at the various recipes you shared. 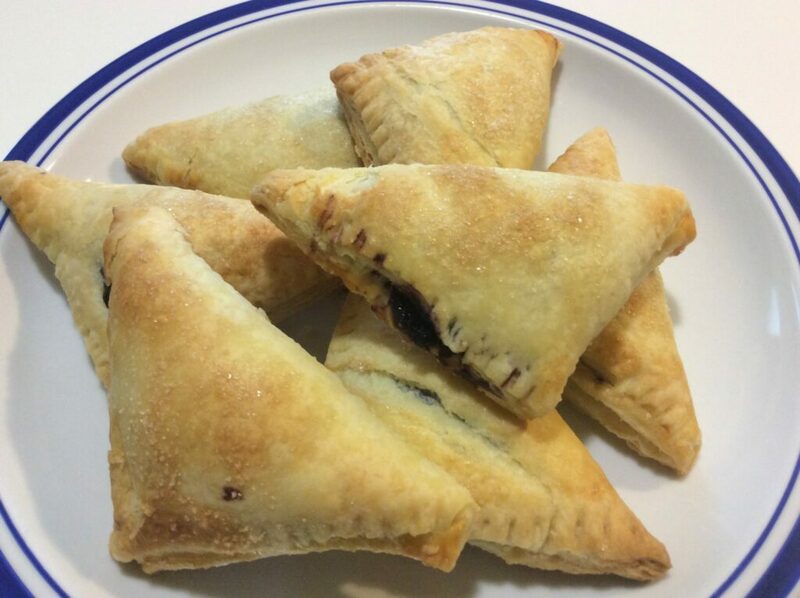 I am not a baker but enjoy eating bakes and fries …LOL. 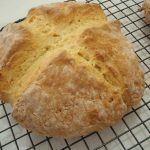 The Authentic Irish Soda Bread looks like something I would love to try since the ingredients are readily available. It appears crusty and would go well corned beef or even butter. 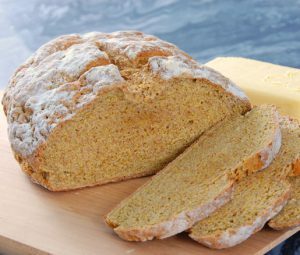 What would you recommended as a good choice of drink to go with the Authentic Irish Soda Bread? Hi Don! It is quite thoughtful of you to have written on St. Patrick’s Day Recipes. Wow! How time flies, soon we will be in March. I envied you as I read through your Tourism story. That was quite an interesting tour. I love Irish foods so much. Of all the Irish food recipe you gave, Irish stew is my favourite. You really took your time to give detail instructions on how to prepare these Irish foods that even someone who doesn’t know how to cook can easily pull this through. Thanks so much for making my day. I love the description of your Irish tour! I am ashamed to say that I have not yet visited Ireland, as I live in the UK, and it’s so close!! I have always meant to go, asI know it is a beautiful place, but so far have not got round to it! What a great idea to collect authentic Irish recipes whilst you were there! I will definitely be trying out your recipe for soda bread, which I really like, especially as it is not necessary to use yeast. 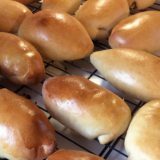 Yes, it’s a really good yeast-less bread, and so easy to make. 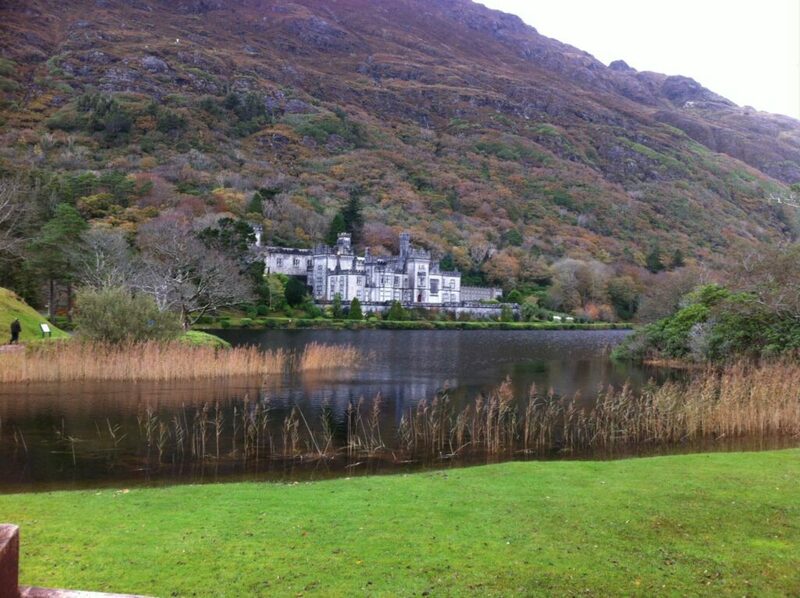 I really enjoyed Ireland very much, I’m sure you would too. Something I really enjoyed about your blog is the description and contents. 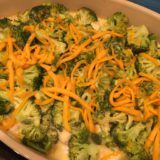 I love recipes and am definitely coming back for more recipe articles. I think you are doing a great job generally of being visible on the blogging space, your work is amazing and helpful. Yes, I need to get around to that (adding a follow button). I’m too busy baking! Haha. You have taken some serious pressure off my back today. As St. Patricks day is getting closer I also get confused on what to make. But after reading this article I have some wonderful recipes to try out. I’m definitely going to try your recipes this year. It was really easy to follow through your recipes. Thank you for sharing this post. 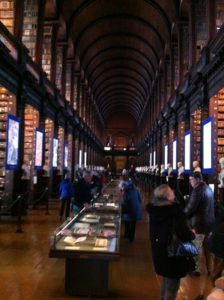 Ireland, such beautiful place, with the most pleasant people on Earth, I never felt so welcomed in a country (specially in Europe like in Ireland). I don’t remember trying so good food like these ones you posted, this bread makes me want to crack it and eat it whole with butter <3 looks so crunchy. 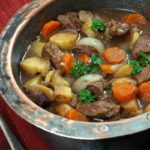 The stew <3 … The Irish coffee cake… oh my… funny enough I just had an Irish coffee today (and of course it is not something I usually do… but well it is sunday and it is well deserved! Thanks for the tips, and you just got yourself a follower! Yes, nothing like a good Irish coffee to start your day! Haha! I also toured the Guinness factory and got certified on making a perfect pour. And I bought two rocks tumblers at Waterford. I’m sensing a theme here . . .